Stunning views of the bay, beach and everything in between. Studios, 1 & 2 bedroom apartments. The Co-ops, Fire Island Pines, Inc. is the cooperative corporation that owns one hundred apartment units located in six buildings between Atlantic and Harbor Walks in Fire Island Pines. Units include studios, one-bedroom, and loft two-bedrooms. They range from one to two bathrooms. Every floor plan is unique and shareholders over the years have designed them to fit their lifestyles. Every unit comes with a comfortable outdoor deck, basic cable and access to high-speed internet and DirecTV. The property and site management is provided by Prestige Property Consultants of Shoreham, New York. The property is open from mid-April through early November each year. Current sales and rental information is listed below. This completely updated studio co-op is perfect for your seasonal beach get-a-way. 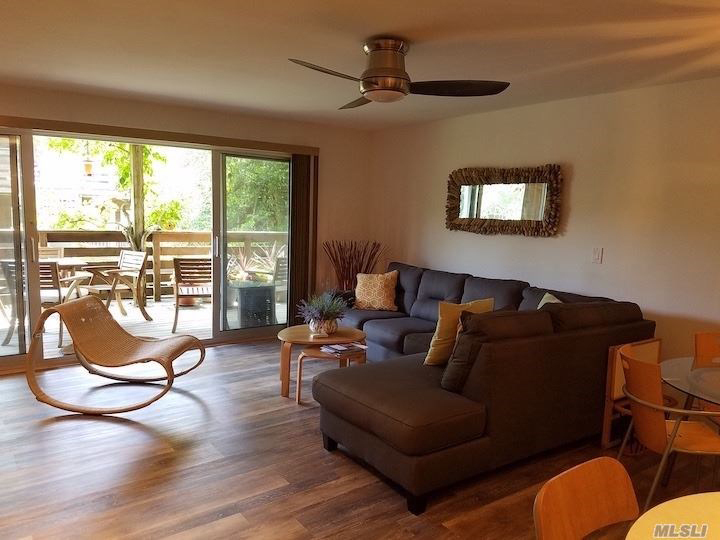 Completely renovated in 2016, brand new furnishings throughout, large sliding glass doors open to a spacious deck complete with new built in storage benches providing a comfortable indoor/outdoor living space. Brand New HVAC Unit is perfect for both warm and chilly days. The updated kitchen has new countertops, appliances, and bar seating. The Brand new Murphy Bed was added in 2017 and the renovated bathroom with glass shower, Washer Dryer, Ample Closet space and new vanity make getting ready for Tea a spacious luxury. Throw in the new microwave, electric BBQ grill and Ocean views! All you’ll need is your sunscreen and a ferry pass! This 1 bedroom Co-op in Fire Island Pines has new floors, new bathroom and kitchen appliances. This is a must see!! Steps to the beach and town!!. The maintenance includes seasonal opening and closing of the unit, taxes, building insurance and water. It also includes basic satellite TV. Water views from three rooms, this private and modern 2 Bedroom, 2 Bath, top-floor apartment is now on the market. Top floor ,corner, mint condition co-op, two bedrooms and two full baths. Kitchen and baths recently renovated. Updated throughout with custom blinds and window treatments, cedar lined closets, fully air conditioned. Move in condition. Spacious outdoor patio. This is the best deal !!! New Price Reduction! Close to town, this air conditioned one bedroom Co-op is priced to sell. Great use of outdoor deck space with built in storage benches – washer and dryer in outdoor closet space. Inside floor plan is spacious and extremely private. This newly renovated two bedroom apartment features two full baths , fully air-conditioned . Enjoy the ocean view from your private deck . Steps to the beach and close to town . This 2 bedroom, 1 bath corner Star Unit is a must see. Just bring your bathing suit and take the short walk to the beach!! This upper studio co-op has just been reduced. Refreshing cross breezes from the ocean!!!! Move in condition. Bright and sunny Star Building Unit! This 2 bedroom 1 bath co-op is priced to sell…call now for your private viewing! Just Reduced! An opportunity like this doesn’t come along often. Stylish, comfortable, floor to ceiling windows and high ceilings. Upstairs loft boasts ample closet space and lots of light. Updated kitchen, steps to town and the beach! This 1 bedroom, 1 bath co-op unit features fully equipped kitchen, harbor views, and deck sporting a gorgeous container garden. This newly renovated one bedroom co-op complete with gas fireplace is both very stylish and perfectly manicured. Easy living in the co-ops only steps to the ocean. Unit is complete with updated appliances, air conditioning and renovated bathroom. In the co-ops you are close to everything! Motivated Sellers! Unobstructed harbor views!!! One of the LARGEST units in the complex. 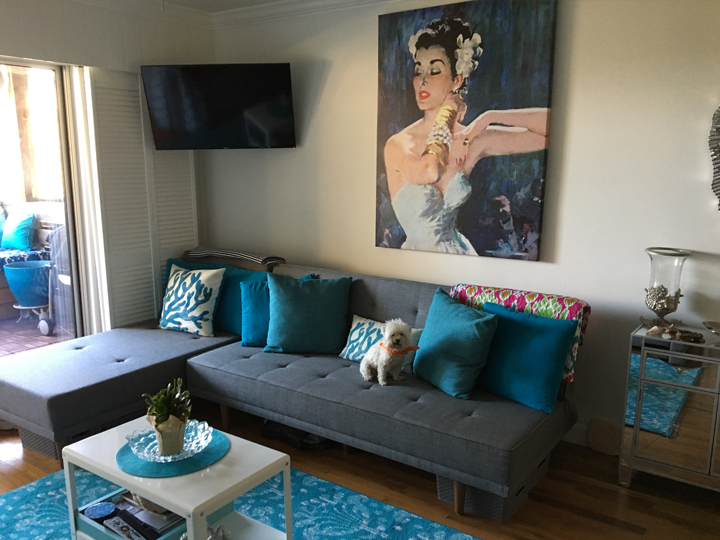 This very bright and private corner unit is very spacious with approximately 840 square feet and lots of closet space. Large master bedroom with walk-in closet and full bath on first floor and very large loft with large closet and half bath and sky light on top floor. Fully renovated studio just steps to the beach. Beautiful spacious deck catches the sunrise and ocean breezes. This is turn key ready…just bring your beach bag! A volunteer Board of Directors of up to 9 members - the by-laws state minimum of 5 max of 9, elected by the shareholders, runs the corporation. Board Committees oversee Maintenance, Finance, Technology, House Rules, Membership, and other areas of Co-op life. The corporation owns 52,705 shares, with individual shareholders owning between 330 to 785 shares. Membership in The Co-ops requires approval by the Board of Directors though its Membership Committee.